This past weekend we went from 48 farm animals (12 goats, 8 pigs, 10 laying hens and 18 five-week old chicks) to about 1,400,000 livestock. 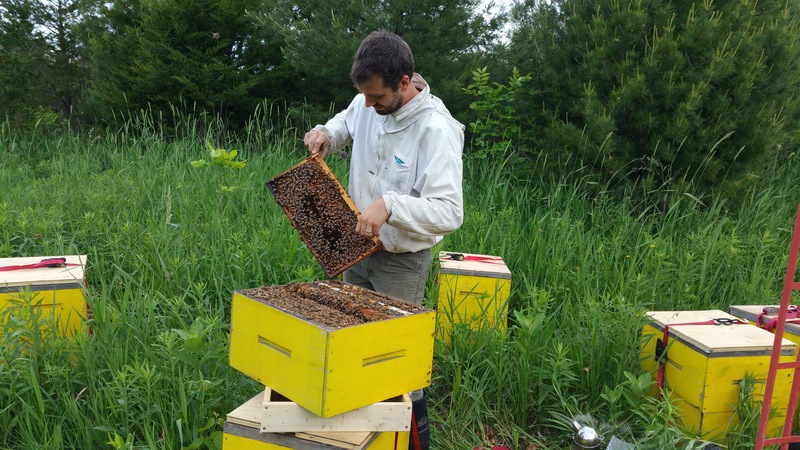 Andrew arrived back at the farm at about 2 am Saturday after driving four hours from Flamborogh, just west of Toronto, with 35 double hives of bees and, at about 40,000 bees per hive, the numbers quickly add up. We will encourage him to do one or more posts about his bees but right now he and Colleen are very busy getting the family and the bees settled and planting a garden etc.. In the meantime, here are a couple of pictures. Andrew inspecting the bees. He says that the hives seem to be quite strong and fairly healthy. 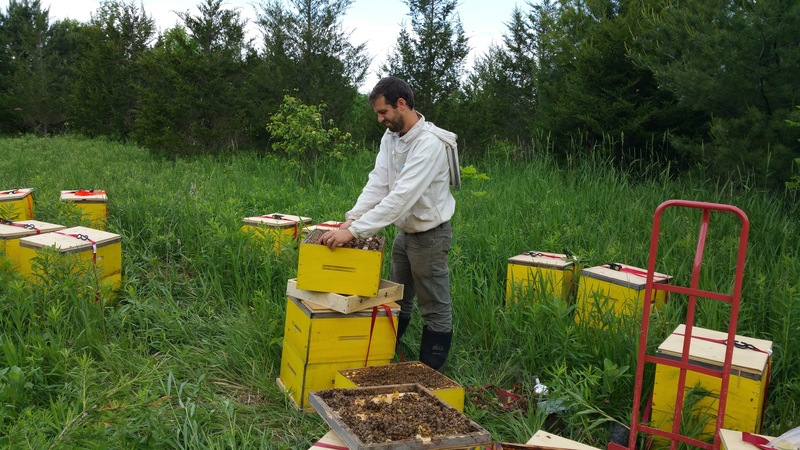 Because the hives are strong, Andrew is planning to split many of them leading to an immediate increase in his stock. So happy that Andrew and Colleen have arrived safely, plus the bees. Your place must be “buzzing”. Enjoy your four grandkids so close to home. You are getting quite the farm and living up to your name. Greetings!